This Alfetta GTV is a limited-edition model from 1979 called the “Turbodelta” which was developed by Autodelta, Alfa’s motorsport division. It is a homologation special so Alfa could compete in Group 4 Rally. It starts with an Alfetta GTV. The engine is a turbocharged 2.0-liter straight-four tuned to make 150 horsepower. Top speed was around 130 mph (I’m noticing a pattern among these cars). This is an all-original, low-miles example with known history. Only 400 examples of the Turbodelta were built. This should sell for between $35,000-$38,000. Click here for more info and here for more from Artcurial. 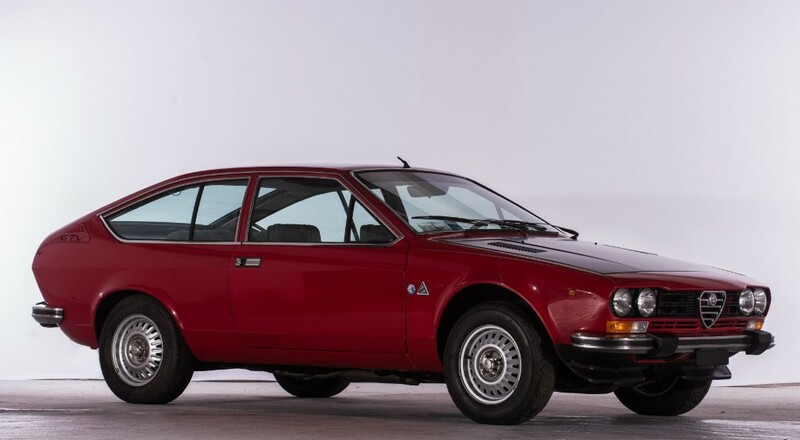 This entry was posted in Uncategorized and tagged 1979, alfa romeo, alfetta, artcurial, auctions, cars, classic cars, coupe, gtv, turbodelta by classiccarweekly. Bookmark the permalink.